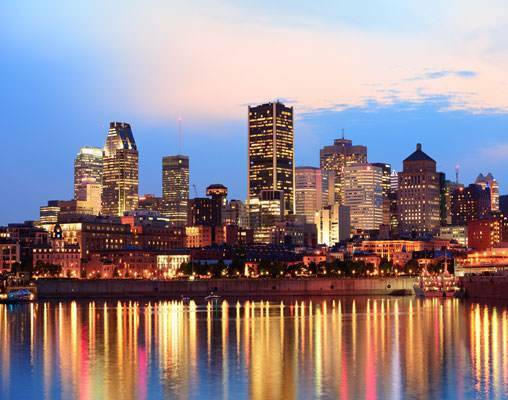 Enjoy a trip brimming with luxury as you explore Montreal, Québec City, and the surrounding areas. This tour includes the finest accommodations at Fairmont hotels and Business Class accommodations onboard VIA Rail. Kick off your experience with a day in Mont Tremblant, nestled among the breathtaking Laurentian Mountains. Experience the area's culture as you enjoy the picturesque scenery and the local flair of the Saint Sauveur village. 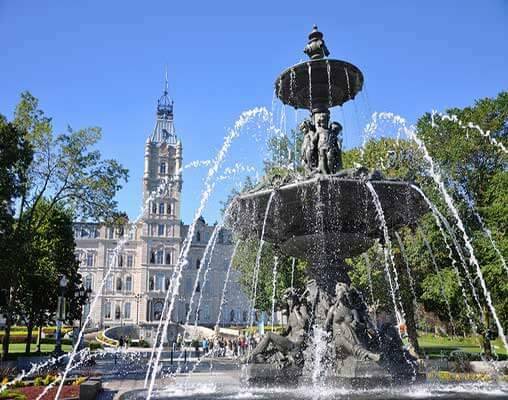 Next, travel to Québec City as you enjoy business class train accommodations. Then explore the rural Charlevoix region on the banks of the St. Lawrence River. You'll have a day-long tour which includes whale-watching along the Saguenay Fjord. Then take in the beauty of rural Québec as you embark on a trip to Sainte-Anne-de- Beaupré, where you can visit its famous shrine. Cap off the day watching the cascading waters of Montmorency Falls and visiting the Island of Orleans. 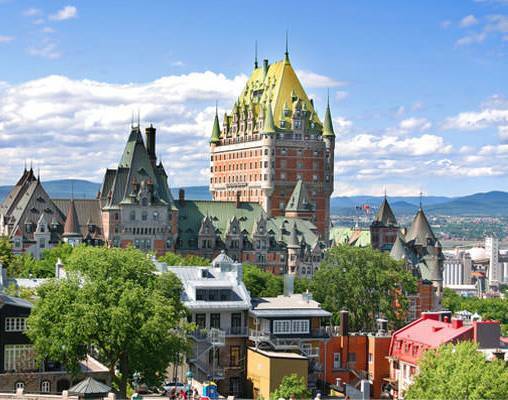 This itinerary is also available from Quebec City to Montreal based on your travel preference. Arrive in Montreal at your leisure. You will be met at the airport by a driver and transferred by private car to the Fairmont Queen Elizabeth Montreal. Built in 1958 by the Canadian National Railway the Queen Elizabeth is the largest hotel in Montreal and the hotel of choice for visiting dignitaries and celebrities from all over the world. The remainder of the day is free to explore the city on your own. Overnight Montreal. Get ready for an amazing 11-hour experience as you discover the beautiful Whales Kingdom tour in the Charlevoix region. Travel through its enchanting sites and landscapes and witness the rugged regions of the area's first settlers. Upon arrival in Tadoussac, you will board a boat specially designed for whale watching. 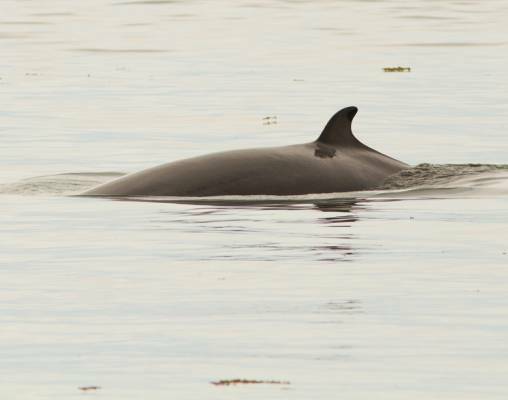 An experienced naturalist will explain the habits of the Finback, Minke and Beluga whales that frequent this region during the summer. Overnight Quebec City. Travel back in time to rural Quebec and enjoy the view! As you ride along the 40 kilometers of Chemin Du Roy to Sainte-Anne-de-Beaupré, you will pass through many traditional villages of rural Quebec. 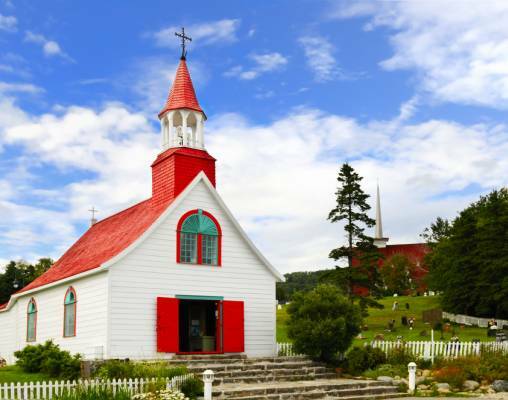 In Sainte-Anne-de-Beaupré, you will have time to visit the world-famous Shrine. 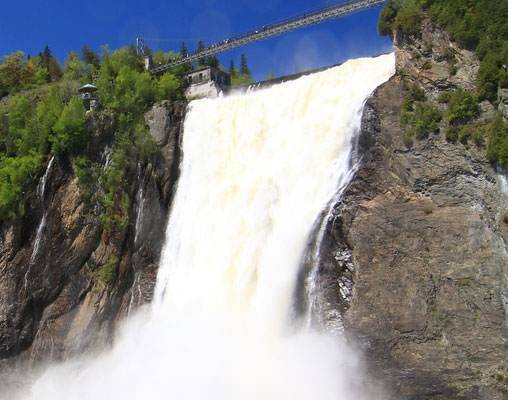 You will also stop at the Montmorency Falls (1 ½ times higher than Niagara Falls). You will then be treated to a short visit on the Island of Orleans, discovered by Jacques Cartier in 1535, where the picturesque village of Sainte-Petronille, with its 19th century rural atmosphere, waits to be rediscovered again. Overnight Quebec City. Today you will bid au revoir to Quebec. Your vacation will conclude with a private transfer from your hotel to the Quebec City airport. Hotels include Fairmont Queen Elizabeth and Fairmont Chateau Frontenac. 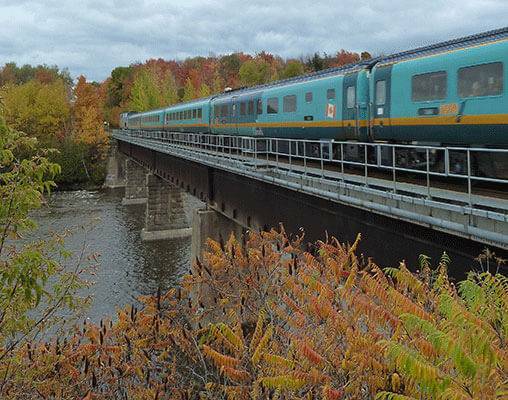 VIA Rail accommodations are in business class and include a seat with picture window, access to the in-station Panorama Lounge (where available), priority boarding and complimentary newspapers, and a delicious meal including wine. Click here to view testimonials for A Taste of Quebec. Enter your details below if you would like to be notified when 2021 dates and prices are available for A Taste of Quebec. Prices are correct at the time of publication, however are subject to change at time of booking. 3 night stays are required in Montreal during the Grand Prix. Hotel and Rail accommodations listed above, are subject to change based on availability at the time of booking. Prices are land-only, per person based on double occupancy. Taxes are not included on rail portions and are subject to change.